Granite is an incredibly popular stone, and it seems to get more and more popular all the time. They offer a classic beauty that will not be susceptible to trends, and they will last much longer than other countertop types. Simply getting a granite countertop installed will add value to your home, which means that they are well worth the investment. Here are some granite facts that you may not know. Igneous rocks are extremely hard rocks that are difficult to crack or break. They are created over millions of years underneath the surface of the earth from volcanic activity. It started as a liquid molten rock which then crystalized underground. Because it was a liquid, the minerals that make up granite harden in irregular patterns, as opposed to even layers. This makes the rock harder. The only known substance known to be harder than granite is diamond. It will not crumble or break down as time goes on. The minerals that make up granite are quartz, mica, and feldspar. It can be found on any continent, which makes granite a popular choice worldwide. Because of its liquid origins and the fact that it is made up of so many different minerals, the colors in a slate of granite tend to vary. They can be reds, greens, blacks, or greys, and everything in between. No two slabs of granite are the same, which means that every granite countertop has a unique beauty. Everyone knows that granite is a great choice for countertops, but its usefulness doesn’t stop there. It is also widely used to create durable fountains, public sculptures, and other beautiful public art pieces. It is perfect for this function since it can withstand the elements, even over many years. Granite is not porous like other stone types, so it can be left uncovered all year round, even during the rain and snow. For just this reason, granite was a popular building material for centuries. Mt. Rushmore is carved from granite, as are buildings in ancient Egypt. There are historic buildings and monuments all over the world that were created out of the durable stone. One thing about igneous rock that is often overlooked is that it is so hard that it can withstand stains. This is because many other softer stones are porous, and liquids can settle into those gaps, never to be wiped away. With granite, there are no gaps, and no sealant is needed to protect it. It can be at risk from acidic liquids, however, such as orange juice, alcohol, and soft drinks. As long as you clean up spills quickly, it will be just fine. There is no reason why your granite countertop won’t keep its beauty and durability all through the lifetime of your home. 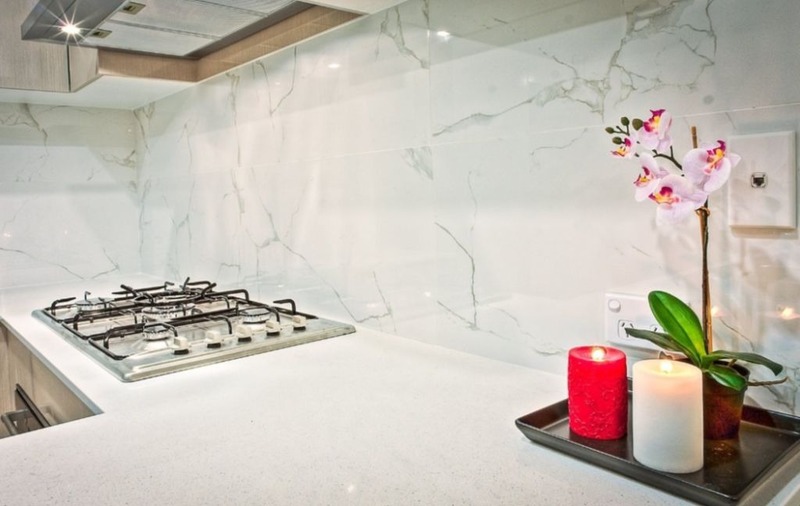 While granite is very strong, there are some good habits you should follow. Beyond cleaning it regularly and immediately after a spill, make sure to not put too much weight on it. If there is too much pressure placed on the countertop, it can damage the edges of the counter. This will make the counter less attractive, and risk the structural integrity of the unit. Contact a flooring specialist today to find out why granite is the right choice for your next building or home renovation project.